Josh Switkes is CEO of Peloton Technology Inc., dedicated to assisting commercial drivers and fleets to be the safest and most efficient on the road. 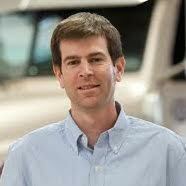 He has been working on systems to make driving safer and more efficient for the last 13 years. After his work at Stanford University on vehicle dynamics and control, Josh developed production control systems for Volkswagen, Audi, and Tula Technology. He has brought together a world class team of engineers, investors and advisors to bring groundbreaking safety and efficiency to trucking through the application of modern sensing, control and communications. By augmenting the abilities of human drivers, Peloton is bringing these advanced solutions to today’s trucking operations.